Whatever happened to ‘Thaumatosaurus’ – the wonder reptile? This article might be considered a bit of a cheat, as it’s mostly lifted from a section of my recent paper describing the new genus Meyerasaurus, formerly ‘Thaumatosaurus’/Rhomaleosaurus victor (Smith and Vincent, 2010). But I think the topic is interesting and might be appreciated by a wider audience. Especially those who think, as I do, that the name ‘Thaumatosaurus’ is really rather wonderful (it means literally ‘wonder reptile’), and that it is a shame to see it sunk forever into oblivion. Historically, the genus Rhomaleosaurus has been interchangeable with ‘Thaumatosaurus’. The confusion between these two taxa arose from taxonomic inconsistency between Richard Lydekker and Harry G. Seeley, two prolific nineteenth century palaeontologists who both ‘refused steadfastly to recognise the generic and specific names proposed by one another’ (Tarlo 1960, p.148). Seeley named Rhomaleosaurus in 1874 based on a specimen already named Plesiosaurus cramptoni (Carte and Baily, 1863) (NMING F8785), however, Lydekker (1889a,b, 1891) regarded Rhomaleosaurus as a synonym of ‘Thaumatosaurus’, a genus named by von Meyer (1841) on the basis of fragmentary skull, vertebral and limb material from Württemberg, Germany (‘Thaumatosaurus oolithicus’). Meyer (1856) provided a full description and figured the holotype material of ‘T. oolithicus’ in a later paper. The subsequent use of ‘Thaumatosaurus’ (over Rhomaleosaurus) was most noticeable and influential in Lydekker’s catalogues of the fossil Reptilia and Amphibia produced for the British and Irish Natural History Museums (Lydekker 1889b, 1891). 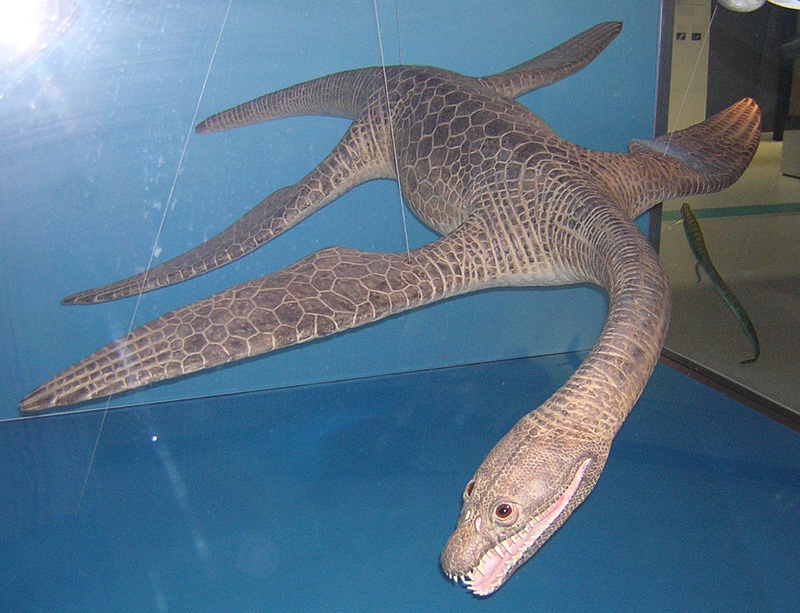 Fraas (1910) recognised both generic names in his original description of SMNS 12478 (the holotype of Meyerasaurus) but followed Lydekker, referring SMNS 12478 to the new species ‘Thaumatosaurus’ victor. 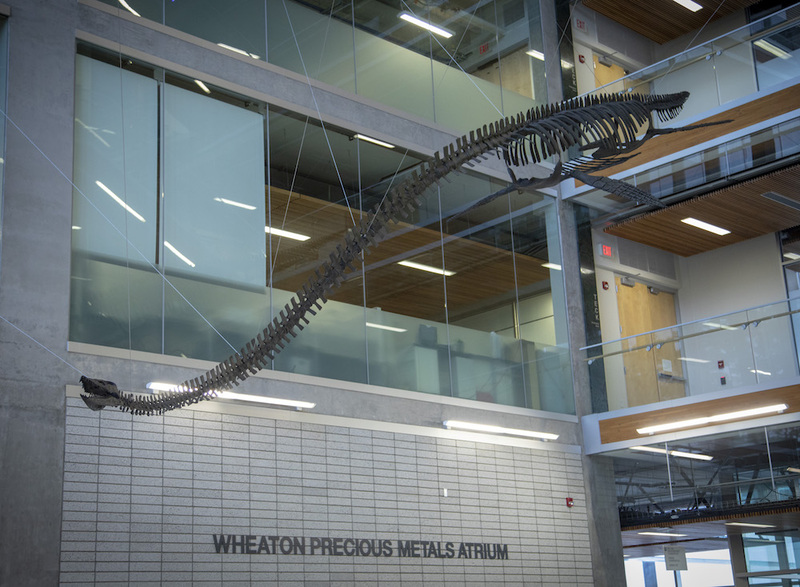 The name ‘Thaumatosaurus’ was adopted by many other researchers and is used in many popular texts. Essentially, this genus became popularised due to the exceptional preservation of SMNS 12478 (Tarlo 1960). 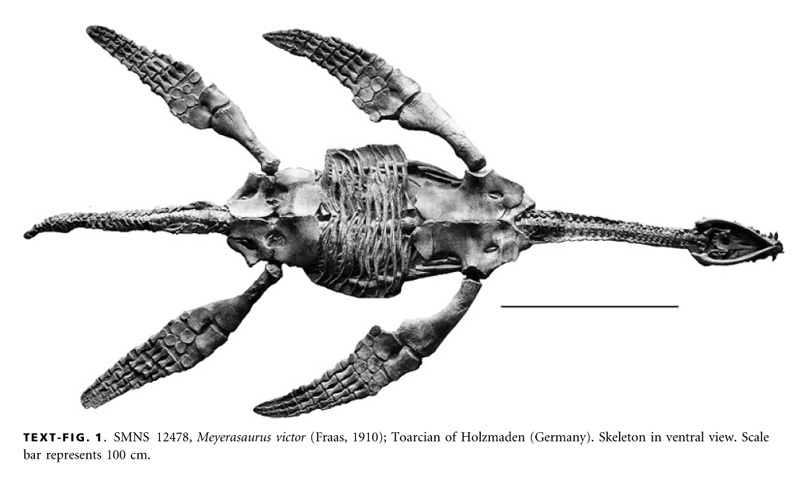 As early as 1922, Andrews (1922) pointed out the insufficiency of the holotype of ‘Thaumatosaurus’ and created a new genus name (Eurycleidus) for Hettangian plesiosaurs formerly attributed to ‘Thaumatosaurus’. However, Andrews (1922) did not officially reject the name ‘Thaumatosaurus’, nor did he mention the Toarcian genus Rhomaleosaurus. Zittel (1932) also accepted the indeterminate nature of the type material of ‘Thaumatosaurus’ but did not formally reject it. Introducing more confusion, some authors have recognised Rhomaleosaurus and ‘Thaumatosaurus’ as distinct taxa (e.g. White 1940). Tarlo (1960) finally resolved the issue and formally rejected the genus ‘Thaumatosaurus’ due to its inadequate type material. Tarlo (1960) consequently referred SMNS 12478 to Rhomaleosaurus. 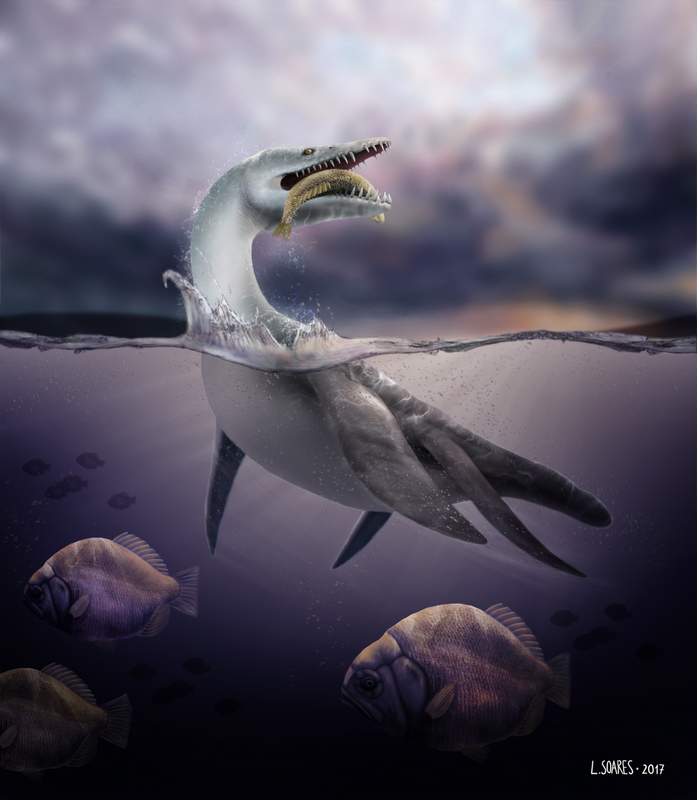 Based on the descriptions and figures provided by Meyer (1841, 1856) the holotype material of ‘Thaumatosaurus oolithicus’ possesses no autapomorphies or character combinations upon which it can be considered valid and is regarded as a nomen dubium. The highest taxonomic level the specimen can be referred to is Pliosauroidea indet based on the relatively short proportions of the cervical centra (their height exceeds length) (Brown 1981). ‘Rhomaleosaurus’ victor is not referrable to Rhomaleosaurus and erection of a new genus for the reception of this material was therefore necessary. And so Meyerasaurus was born (Smith and Vincent, 2010). Andrews, C.W. 1922. Description of a new plesiosaur from the Weald Clay of Berwick (Sussex). Quarterly Journal of the Geological Society of London, 78, 285–297. Brown, D. S. 1981. The English Upper Jurassic Plesiosauroidea (Reptilia) and a review of the phylogeny and classification of the Plesiosauria. Bulletin of the British Museum (Natural History). Geology Series, 35, 253–347. Fraas, E. 1910. 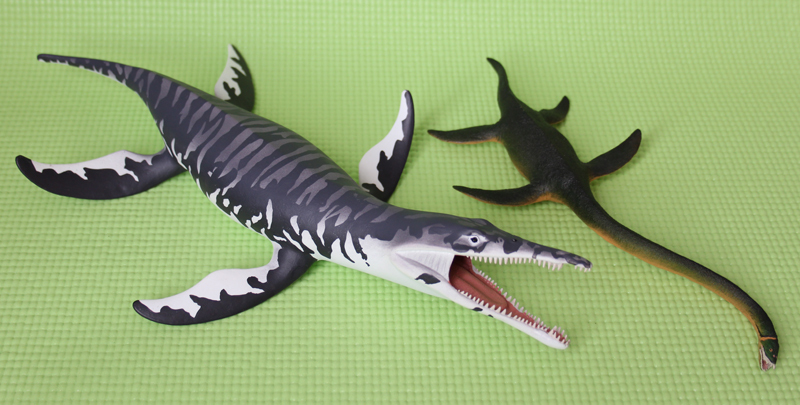 Plesiosaurier aus dem oberen Lias von Holzmaden. Palaeontographica, 57, 105–140. Lydekker, R. 1889a. On the remains and affinities of five genera of Mesozoic reptiles. Quarterly Journal of the Geological Society, 45, 41–59. —– 1889b. Catalogue of the fossil Reptilia and Amphibia in the British Museum (Natural History). Part. II. Containing the orders Ichthyopterygia and Sauropterygia. British Museum (Natural History), London, 307 pp. —– 1891. Catalogue of fossil mammals, birds, reptiles, and amphibians in the Science and Art Museum. Dublin Museum of Science and Art, Dublin, 61 pp. Meyer, H. von 1841. Thaumatosaurus oolithicus der fossile WunderSaurus aus dem Oolith. Neues Jahrbuch für Mineralogie, Geologie, und Paläontologie 1841, 176–184. —– 1856. Thaumatosaurus oolithicus aus dem Oolith von Neuffen. Palaeontographica, 6, 14­–18. White, T. E. 1940. Holotype of Plesiosaurus longirostris Blake, and classification of the plesiosaurs. Journal of Paleontology, 14, 451–467. Zittel, K. A. von 1932. Textbook of palaeontology (three volumes), Second Edition (revised). Macmillan, London, 464 pp. Adam S. Smith. This site opened in June 2001 and was last updated in Sept. 2018. The skeletons in the site header are (from left to right): Kronosaurus (Museum of Comparative Zoology, Harvard University, Cambridge), Thalassomedon (American Museum of Natural History, New York), Cryptoclidus (Hunterian Museum and Art Gallery, Glasgow), Rhomaleosaurus (Natural History Museum, London), Dolichorhynchops (Smithsonian Institution's National Museum of Natural History, Washington) and Thalassiodracon (Natural History Museum, London).